Sometimes people use the expression, "I have seen it all." They haven't. I have seen it all. All of Africa that is. Today I made the 7 hours drive from my home to a small village outside Masaka ( where i am working to support yet another orphanage). I literally drove across Uganda, and though it was long and very bumpy, I couldn't have been more thrilled. Beautiful is often the word I use to describe my life here, but honestly, beautiful doesn't begin to capture it. Rolling hillsides, lush green valleys, grassy plains that reach the horizon, and a single dirt road stretching as far as the eye can see. And that is my life. I can't see where the road leads, but I am so happy to be on this beautiful, uncertain road and though I am not sure where it is leading, I know that it is here, in Africa. I am here now, being eaten alive by mosquitoes in the home of a family that I do not know. (Ugandan hospitality is wonderful.) I will admit I was nervous upon arriving, but as I entered their home, a sign caught my eye "if today you hear God's voice, harden not your heart." There is was again, as alway. "Daughter," He spoke, "do not be afraid; this is where i have called you." The call came on Wednesday night when a dear friend, Patricia, phoned to let me know that one of the little girls at Nazareth, a children's home I had been involved with sponsoring but not yet visited, had passes away of an unknown cause. At the news my heart dropped into my stomach and I knew my only option was to go there. How does a beautiful, happy, 3 year old just suddenly die? Since Patricia is involved in supporting the orphanage back in the states, I was the only one who could really go and asses the situation, where the children not getting proper care? medical treatment? Again and again and again God's call is the same, "whom shall I send?" and again, "Here I am, Lord. Send me," is the only response. I was apprehensive on the drive here, being truly alone in a land where I know no one, but the breeze whispered to me that this is home, and the bright sun took away all doubt. I am staying with the family that lives next door to the orphanage, which is actually two small brick houses with dirt floors, minimal food, and buckets of water for bathing. How gracious this family is to welcome me, a total stranger, into their home! The grandmother just came in with a bowl and a pitcher of water to wash my hands. She has prepared tea for me, and as a respected guest, I must stay here in the living room and take my tea while the rest of the family cleans and prepares the house. Around here, last minute guests are a welcome and wonderful surprise! I am constantly humbled by these people and their longing to serve. The orphanage is in bad shape. It is dirty, there is little food and littler clothing, and absolutely no medical care. Sadly, it is not hard to image that a child died here just a few days ago. Ms. Josephine, the founder/owner/director of this home to 20 children is in her early 70s (an insane lifetime for any person in this country) and the only family these children have. Needless to say it is near impossible for a 70 year old woman to care for 20 children, but despite a devastating lack of resources and no outside help, she is doing alright. Tomorrow, I will take all the kids to the hospital to have check-ups and be treated for anything they have, as well as de-wormed. Then it will be off to the market to buy some more nutritious food and help them create a meal plan that will be healthy and affordable. I am hoping we can plant a vegetable garden- a great way to have inexpensive, nutritious food and a fun project for the kids. Ultimately I would love to put in a flushing toilet, as at the moment the children use a pit latrine that must be cleaned by hand. I know that God is moving in this place and He is constantly helping me and giving me new visions for these children and the resources to make them happen (huge thank you, once again, to Mr. Mike and all who have contributed!) Can you imagine, a God so large He could create the universe, yet so personal that He cares for each one of these children and meets their needs on an individual basis? How blessed I am to be a servant of such a Master. Your adventures are beyond any I could have imagined for you. Stay safe. If the people of Uganda have one ounce of the love for you that you have for them, I will be comforted that you are out of harms way. Happy Thanksgivng my dear. 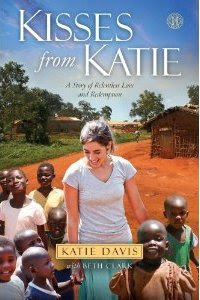 Katie, although you are young, you are a spiritual giant! I LOVE reading your blogs. Being from a country in West Africa, I must say though, you have not seen ALL of Africa. You have seen various cities in one country. I love your heart and I say this will all love, honor and respect for your work. But it is very hurtful and degrading when people refer to all of Africa as if it were some homogenous city or country instead of a very diverse and multifaceted continent. I know you love your Ugandan brothers and sisters. Please honor their uniqueness within the diversity of this continent by calling them as such (Ugandans) rather than mistakenly lumping them together with all of Africa. I hope you feel the love in my heart with which I say these words. I am praying for you and your ministry. May God continue to use you in a mighty and powerful way to accomplish His will on earth.